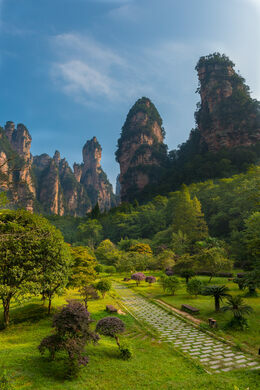 It wasn’t until 1982 that China created its first national park: Zhangjiajie National Forest Park. They couldn’t have chosen a better site—Zhangjiajie is famous for its 3,000 vertical pillars, each hundreds of feet tall and covered in dense green foliage. 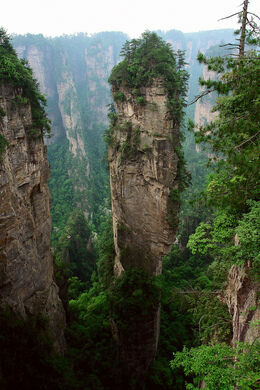 These pillars were formed by erosion and draw in upwards of 30 million tourists every year. 999 stairs lead visitors through a massive hole in a mountain known as the Gateway to Heaven. For those with no fear of heights: a skywalk 4,700 feet up on a Chinese mountain. This, of course, was not all good news for the Chinese government. The state-run “China Film Group” was afraid that Avatar would inspire people to make connections between the plight of Pandora’s fictional “Na’vi” people, who were being displaced from their land for the purpose of economic expansion, and the plight of the millions of real Chinese civilians being evicted from their homes to serve the interests of urban developers. Hence, in a wildly controversial move, just 14 days after being released in China, Avatar was prematurely taken off of 1,628 2D screens. Two weeks too late. By that point Avatar had already become China’s highest-grossing film of all time, and “Avatar Hallelujah Mountain” continues to be the name of the pinnacle, despite the government’s censorship efforts of the film. 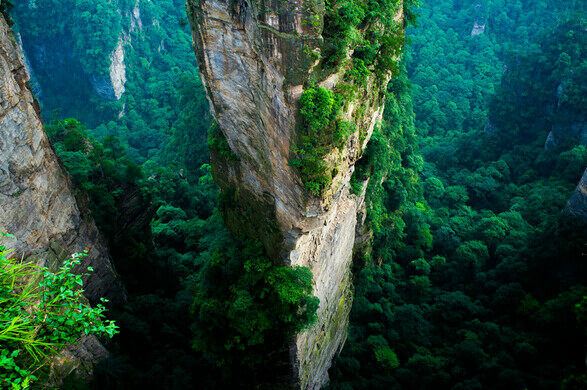 The connection to Avatar has surged the popularity of Zhangjiajie. To cater to the more adventurous tourists in the area, a new attraction was built in the national park in 2015: the longest glass bridge in the world.